A Honolulu high school that mixes Buddhist teachings of peace into its curriculum is graduating its first class on Friday. The Pacific Buddhist Academy, the only Shin Buddhist college preparatory school in the country, educates 60 students who must agree to take judo, kendo and play taiko drums to enroll. Four years after the school opened, 14 academy seniors will receive their degrees in a ceremony at the Honpa Hongwanji Hawaii Betsuin temple. The service will include Buddhist chanting led by the students, who will receive a "shikisho," a piece of brocaded fabric worn around the neck, in recognition of their engagement in the dharma, or cosmic order. INCENSE drifts through this small school overlooking a white Buddhist temple in Nuuanu. 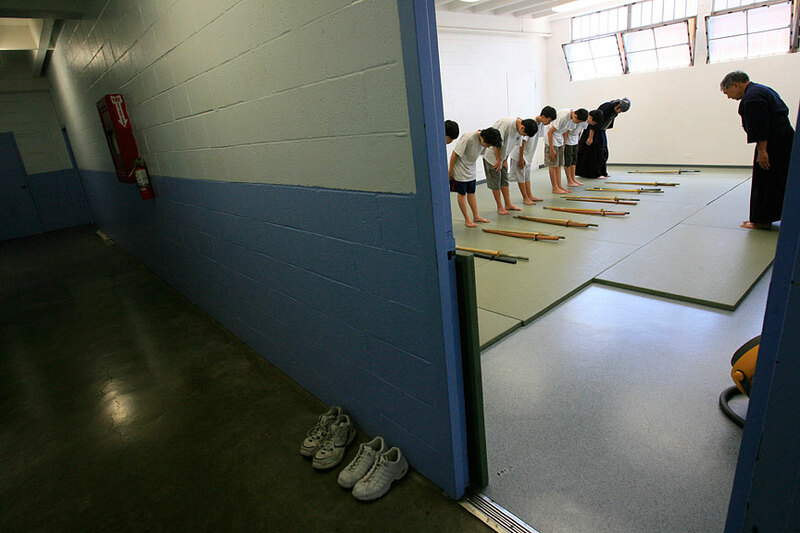 Students and faculty bow their heads before and after class, and misbehaving children must do yoga and meditation as an alternative to suspension. Four years after opening, the Pacific Buddhist Academy, the only Shin Buddhist high school in the country, will graduate its first class Friday. Fourteen seniors will get their diplomas and chant in a ceremony at the Honpa Hongwanji Hawaii Betsuin temple, just steps away from a college preparatory school that taught them as much about math and science as it did about respect, gratitude and peace. "This is the mark of success," said school head Pieper Toyama, who will give speeches for each graduate during commencement services at the Japanese Cultural Center of Hawaii. With six classrooms shared by 60 students and five full-time teachers, the school at the bottom of Pali Highway was a dream of the Honpa Hongwanji Mission of Hawaii, the statewide association of temples. Pacific Buddhist Academy is filling the gap between Hongwanji Mission School, which educates 328 children from preschool to eighth grade, and the Buddhist Study Center for college students and adults. Sheldon Konno, a senior who came from the mission school, said the academy lets him analyze current events by making peace a focus of every subject. "It helps you look at a situation differently," the 17-year-old said. "Like with the war in Iraq. What's the purpose of war? The U.S. is getting oil ... but you are taking away someone's child." When studying slavery in American studies, students look at the history of the slave trade and what led to it, but also the "human essence of the topic," Toyama said. "The central issue is, How can one human being treat another human being that way?" said Toyama, a former headmaster of the private Parker School in Waimea on the Big Island. "One can say this was a failing of how we were educated as teachers," he added. "Paying attention to peace was not part of our education, and sometimes I think that's why we get into the problems we get into today." 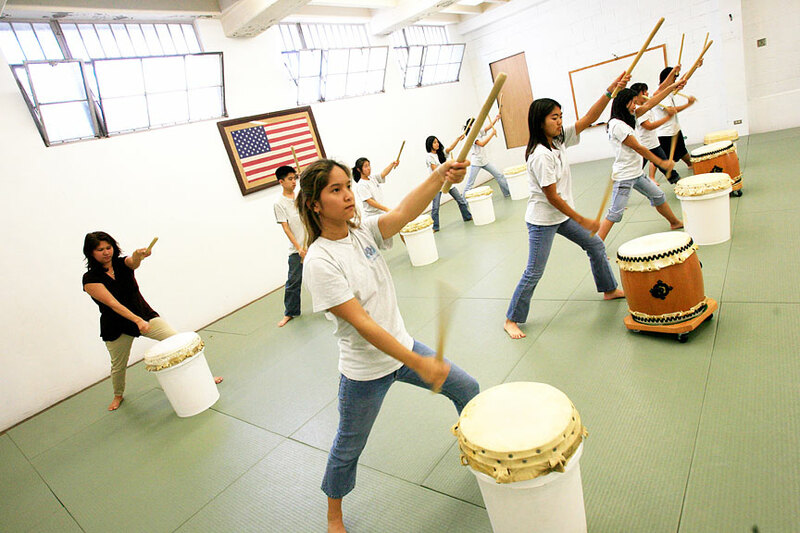 The academy welcomes students of any background, as long as they have a laptop and agree to take judo and kendo and play taiko drums. Tuition will be $8,100 for the 2007-08 school year. 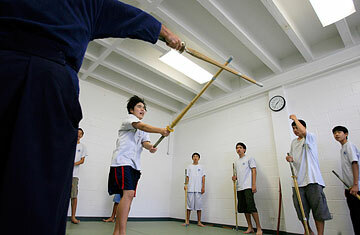 Despite being small, the school offers sports like cross-country, wrestling, swimming, tennis, volleyball and soccer through the Interscholastic League of Honolulu and PAC-5. Saya Toita, a senior who came from Saint Francis School, said she enjoyed small classrooms and how teachers gave students freedom. "It's like a big family," said Toita, who plans to study liberal arts at the University of New Hampshire. "No one is afraid to say what they want." Students also have a say on who gets hired, as they help interview every teacher applicant. The practice makes students feel their opinion counts and lowers the hierarchy between teachers and students. If students get into trouble, they will reflect about what they did wrong through yoga and meditation, not suspension or detention. Sometimes misbehaving students scrub the floor, but even then they are supposed to ponder the consequences of their actions. "Punishment only makes them fearful and secretive," Toyama said. "Change needs an awakening to reality."